London Mayor Boris Johnson is set to enter his second term at 10 Downing Street – and he’s made it clear that economy and employment are among his top priorities. The newly re-elected London Mayor announced his new team along with his intentions to boost jobs in London and encourage strong economic growth in the coming years. 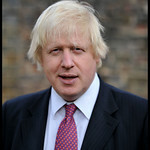 Boris Johnson stated that the issues of London jobs and growth are “at the heart” of his role as Mayor; the city is still feeling the effects of the global recession, and Mayor Johnson is eager to drive the economy forwards and offer Londoners a financial future with greater security. Mr Malthouse formerly served as Boris Johnson’s Deputy Mayor for Policing, and will now take up the reins in the Business and Enterprise department. Boris Johnson describes Malthouse as someone with “an outstanding business pedigree” and a knack for getting results even in the most trying economic conditions. The Mayor believes Kit Malthouse will play a key role in realising the vision to create jobs and apprenticeships in the hundreds of thousands. Richard Blakeway will be Boris Johnson’s right hand in the property department, heading up Homes for London (which will be replacing the London Housing Board). Blakeway will be leading the development of London’s Mayoral housing strategies and policies. Munira Mirza has a great deal of experience in working for cultural organisations and charities; this makes her ideal for her position on Boris Johnson’s Mayoral team. In addition to serving at the Deputy Mayor for Education and Culture, Ms Mirza is also a member of Arts Council England, Royal College of Music Council and London Regional Council. Sir Edward was originally appointed Chief of Staff and Deputy Mayor of Planning by Boris Johnson in 2011, and will continue in this crucial role throughout 2012. During his second term, Mayor Boris Johnson plans to boost job employment and create 250 000 new apprenticeships in support of small business; he also plans to invest £250 000 million in London’s high streets. In light of the recent Presidential election in France, Boris Johnson is also encouraging French businesses to relocate to the UK to avoid President Hollande’s tax rates – and international business analysts will be watching developments with interest. Nicky Warner is a skilled, passionate writer with a keen interest in London news. Whether it’s the latest developments in serviced offices Manchester or breaking economic news in Marylebone, Nicky’s got all the details!